Hydrofly Watersports is a must-see attraction in Charleston, SC. The Flyboard is a revolutionary new water sport that allows users to swim like a dolphin and hover up to 20 feet in the air. This is done by wearing a board that propels a high volume of water out of two nozzles. There is only one thing in the world more fun than spending time at Hydrofly Watersports - spending a full day at Hydrofly Watersports with all of your friends! Between our floating tiki hut and our wide range of activities, we have the perfect set up to accommodate large groups of outdoor enthusiasts. Whether it's pre-wedding events, birthday parties, team building exercises for a corporate outing, or even just a group of friends looking for a good time, we are sure to get you and your party having fun on the water! Each of our packages and individual rates are designed to help you easily plan your day. From food and travel accommodations, to individual checkouts for your party, our goal is to make this easy, so relax and have some fun! Please park at the lot at 185 Lockwood Dr. 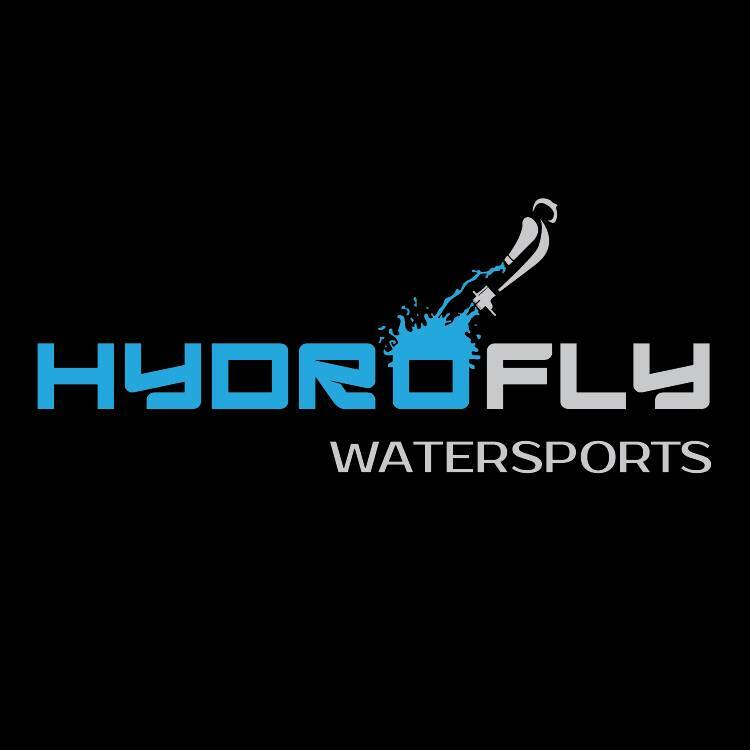 Call to schedule a fun time with us at Hydrofly Watersports today! We look forward to meeting you and getting flying out on the water!